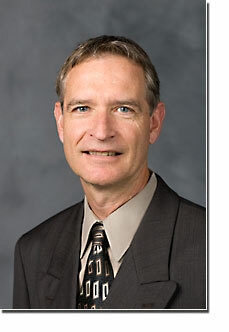 Jim Ross currently serves as an Assistant Professor of Practice of Health and Exercise Science. His current responsibilities include teaching HES 354 Assessment Techniques and HES 353 Exercise Physiology. Jim’s teaching experience includes five years of instruction at Wake Forest and four years of teaching in the Exercise Science and Wellness department at Ball State University in Muncie, Indiana. His professional experience includes serving as the Program Director for the Wake Forest University’s Healthy Exercise and Lifestyle Programs supervising exercise testing, and exercise programs. He was also Director of Laboratory Services for the Wake Forest Cardiac Rehabilitation Program and Assistant Coordinator of the Adult Physical Fitness Program at Ball State University. J. H. Ross, P.H. Brubaker FACSM, K. Webb, S.Maldonado-Martin, “Response and Recovery of Heart Rate in Collegiate Basketball Players Before and After An Intensive Four Week Conditioning Program.” American College of Sports Medicine National Convention in May 2005 in Nashville, Tennessee. J. H. Ross, T. M. Arrowood, P. H. Brubaker, FAACVPR, “Comparison of Fasting Blood Glucose Levels Utilizing The One Touch II Glucometer and Cholestech LDX Lipid and Glucose Analyzer.” American Association of Cardiovascular and Pulmonary Rehabilitation Programs National Convention in September 2002, Charlotte, North Carolina. T. M. Arrowood, J. H. Ross, M. J. Berry, FACSM, P. H. Brubaker, FACSM. “Oxygen Desaturation During Symptom-Limited Maximal Graded Exercise Tests In Cardiac Patients. ” American College of Sports Medicine National Convention, May 2002, St. Louis, Missouri. Ross, J. H., Rejeski, W. J., Lutes, L. “The Cardiovascular Health and Activity Maintenance Program” American College of Sports Medicine National Convention, May 2000, Indianapolis, Indiana. Ross, J. H., Whaley, M. H., Kaminsky, L. A., “Progress Reports, a Method for Updating Exercise Prescription.” American College of Sports Medicine National Convention June 1998, Orlando, Florida. Moreau, K. L., Whaley, M. H., Kaminsky, L. A., Ross, J. H., “The Effects of Blood Lactate Concentration on Perception of Effort During Graded and Steady State Treadmill Exercise.” International Journal of Sports Medicine. In review. Ross, J. H., Whaley, M. H., Kaminsky, L. A., Moreau, K. L., “Comparison of Blood Lactate Concentration and Ratings of Perceived Exertion During Two Clinical Treadmill Protocols.” American College of Sports Medicine National Meeting: June 1996, Cincinnati, Ohio. American College of Sports Medicine’s ACSM Exercise Specialistsm: February 1998-present. American College of Sports Medicine’s ACSM Health/Fitness Instructorsm: May 1995-present. American College of Sports Medicine’s Registered Clinical Exercise Physiologistsm January 2000-present.